BMW has finally announced what has long been rumored: a completely new mid-range sports bike. Note the “S” designation on these motorcycles, which intimates that the motorcycle will have strong performance and good handling. The styling also seems to have emerged from the Chris Bangle era, which is a very good thing, in our opinion. It’s reminiscent of BMW motorcycle styling of old, and although it doesn’t probe any new limits, it at least demonstrates a tie to the K-bike era. This is the first BMW motorcycle in a long time which we all agree looks good – at least in the photos. 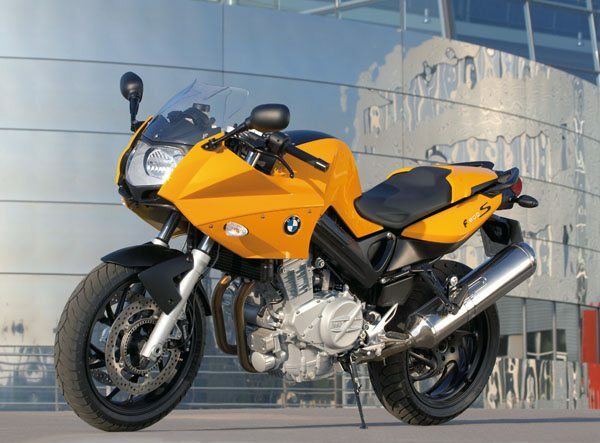 The F800S is an 800-cc twin which offers lots of character, an excellent suspension and typical BMW properties. The athletic F 800 S sports bike has a dry weight of under 419 lbs. (approx. 441 lbs. ready-to-ride) and is the first model of the new and separate model series. The precise suspension is designed for high directional and cornering stability as well as optimum handling. 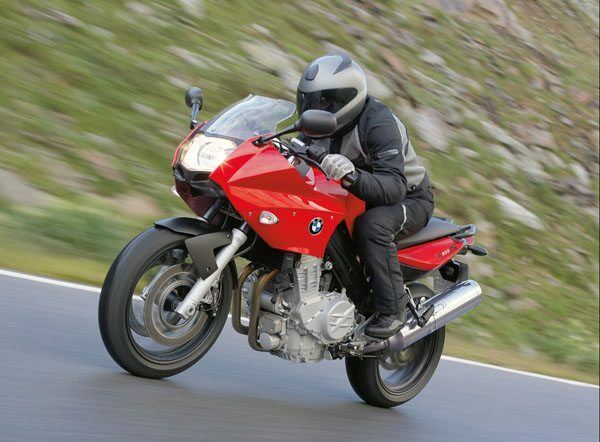 The classic BMW qualities such as safety, compliance with the highest environmental standards, ergonomic seating position and comfort also for the passenger define the new standard in the mid-range bike. 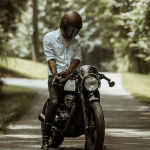 A closed-loop three-way catalytic converter, state-of-the-art digital engine electronics and optional ABS are also a matter of course for this motorcycle. BMW Motorrad is continuing with the innovation introduced on the F 650 CS and makes use of the low-maintenance and quiet-running belt-drive for the F 800 S. It is lighter than shaft drive and represents the optimum combination of weight, space requirements, efficiency and service life in this performance class. The engine is also a completely new design. It was developed in cooperation with Bombardier-Rotax GmbH. It is manufactured in the Austrian Rotax plant and is delivered to the Berlin production line ready-for-assembly. The first two-cylinder inline engine in the history of BMW Motorcycles features a four-valve design. High 12:1 compression and a combustion chamber designed similarly to the one used in the new K-engine ensure effective and low-emission combustion, as well as efficient fuel consumption which will be considerably lower than that of the competition. Mass compensation for the crankshaft balances unwanted vibrations without foregoing the vigorous characteristics associated with two-cylinder engines. The compact engine unit with integrated 6-speed gearbox has been designed for balanced power delivery and uncomplicated riding pleasure. A peak output exceeding 80 bhp with respective torque will also satisfy a sports-rider’s needs. The new BMW F 800 S will be presented to the international press and then the public for the first time at the EICMA Motor Show in Milan on 15 November 2005. The price has not yet been set.